Of all the pomp and romance that Venice is known for, nothing compares to the allure of Carnival. Set against the city’s fairytale backdrop, Carnival (or “Carnevale”) is the biggest annual festival held in Venice, Italy. 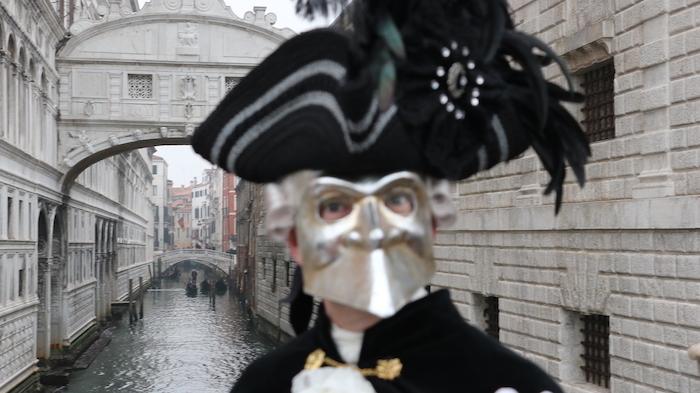 From Venetian masks to masquerade balls, Venice Carnival is a singular experience. Celebrations last for twelve magnificent days! And so, dust off your Venetian mask and let’s go to the Floating City. Are you planning to visit Venice? Leave the heavy-lifting and entertainment to us by reserving some Venice tours. 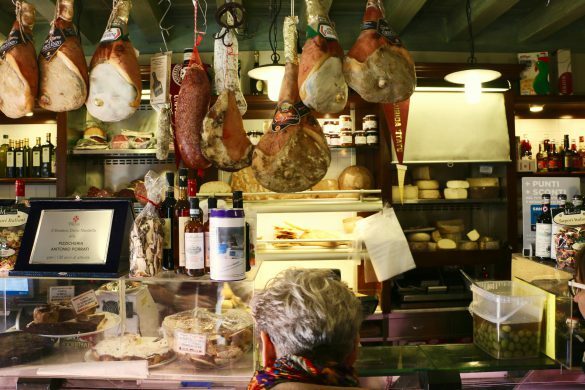 Explore our favorite highlights, such as Doge’s Palace and the best cicchetti bars. Led by locals, this is the best way to experience the Floating City. Venice’s Carnival began in 1162 when townspeople celebrated a victory over the Patriarch of Aquileia. In honor of the victory, the people started to dance in St. Mark’s Square. Then, in the 15th century, the city of Venice has made the celebration of Carnival official. However, it hasn’t always been a steady run. Throughout the centuries, the tradition has waxed and waned. After Napoleon Bonaparte conquered Venice in 1797, the Republic was finished and so were the desultory remnants of Carnival. Eventually, the celebrations enjoyed a resurgence, but with much less fanfare. When Benito Mussolini, fascist Italian dictator, banned the festivities and masks in 1930, things looked bleak for this epic tradition. The modern incarnation of Carnival is simply a slight re-invention of what the original party was like originally. The most romantic and intoxicating city comes alive with a mass of masked festival-goers. Both tourists and locals alike fill the narrow streets in a contagious display of merrymaking set against the surreal backdrop of Venice. For two weeks, the atmosphere heats up with glamorous costume balls, creative contests, regattas, parades, and decadent feasts. Attending Carnival is a jaw-dropping experience, but it isn’t for everyone. If you thought Venice is crowded normally, it’s even more crowded during the two weeks of masked parties. The exact dates of Venice Carnival vary every year. In 2019, it will be held from February 16th to March 5th, with special events and parades every day. Here are some unmissable events if you want to dive as deeply into the Venetian Carnival as the locals do. During the grand opening of Venice Carnival, Venetian boats navigate through the Grand Canal up to Rialto and turn into food stands, serving Venetian finger food, called Cicchetti. To play it safe, arrive at least one to two hours ahead of time. The “Festival of Mary’s” is one of Carnival’s main Parades. Locals flood St. Mark’s Square to see twelve lovely girls parade through the street. It evokes the homage that the Venetian Doge offered every year to twelve beautiful but humble Venetian young women in the form of magnificent jewels to be used as bridal dowries. Volo dell’Angelo takes place in St. Mark’s Square on Feb 24th at 11 a.m. and marks the opening of Venice Carnival. Dating back to the 16th century, this traditional event consists of an “angel” flying from St. Mark’s Bell Tower over St. Mark’s Square as an homage to the Doge. Check out a video of this spectacle here. The Carnival Dinner & Ball takes place at the scenic Ca’ Vendramin Calergi. 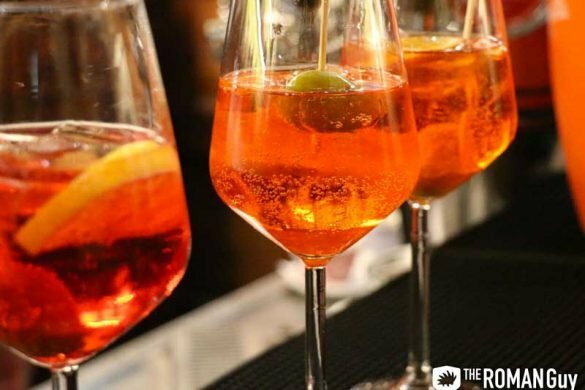 With a spectacular view on the Grand Canal, this is the official party of Venice Carnival and the most extravagant! Flamboyant performances, live music, and special games animate the whole night long. If you’re looking for a more upscale, traditional ball with opulent Renaissance costumes, top Venice Hotel Danieli hosts one every year. One of the most traditional Masquerade Balls is called “Ballo Tiepolo” and is held on Fat Thursday at the historical palace Pisani Moretta. Many Carnival masks are based on characters from the commedia dell’arte, a type of improvised comedy popular in Italian theaters during the Renaissance. These performances revolved around a standard set of basic plots and stock characters. While masks started out as simple affairs, modern masks are much more elaborate. Every year, there are contests for the most beautiful masks that spark fierce contests between some of the most creative people in the world. Typical decorations include gold and silver leaf, feathers, fabrics, gems, and leather. The tradition of the Venetian mask started in the 13th century when Venetians celebrated from December 26th until the start of Lent. During Lent, alcohol and meat were off limits – Carnival was the Venetian way of getting out all their indulgences out before Lent. 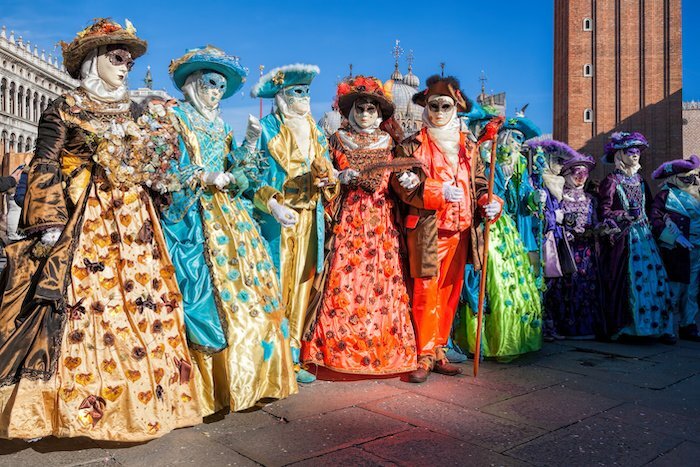 In fact, the word “Carnevale” comes from the Latin phrase for “farewell to meat.” These parties were also the only time that upper and lower classes mingled. Aristocrats and peasants, with their faces concealed by masks, were free to engage in clandestine activities and wild partying. 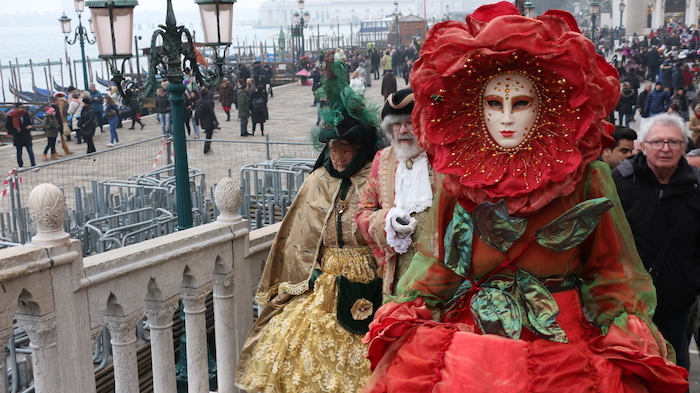 Renting costumes for Venice Carnival will make your experience unforgettable, but keep in mind, it won’t be cheap! Atelier Tiepolo is one of the greatest handmade costume rental shops in Venice, with over 300 Renaissance-inspired costumes, accessories, and wigs. Atelier Pietro Longhi and Antonia Sautter are other good options for quality costumes. At these shops, everything is 100% handmade and produced locally. Easy to reach from many Italian cities, all you have to do to get to Venice is hop on a high-speed train. Train travel makes seeing Venice in a day super easy. Hotel rates spike during the festival; figuring out where to stay in Venice during Carnevale is a challenge unless your pockets are deep. 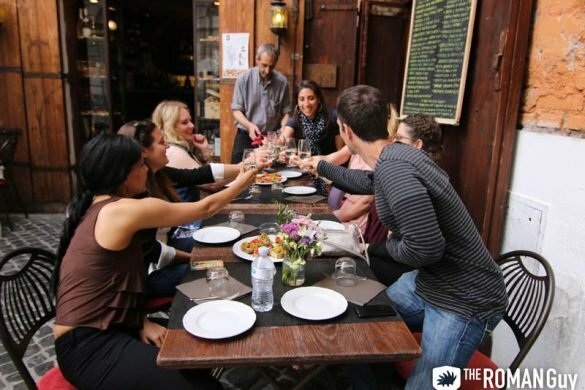 Consider booking accommodations in Padua, a nearby town. The train from Padua to the island of Venice only takes half an hour. Likewise, if you’re visiting Florence or Rome during Carnival, strongly consider a day trip to Venice instead. Find timetables and departure times on the Trenitalia website, by selecting Venezia S. Lucia as your arrival station. Keep in mind that planning ahead and leaving early in the morning is essential to securing the best price and seats. And remember, don’t exit the train until you cross over the water. Venice is an island and it’s the last stop on the line. Once you arrive in Venice, the best way to get around is on foot. All the main tourist attractions are within walking distance of one another. However, public transport is available via expensive water taxis, traditional gondola rides, and easily accessible ferry boats. Check out the ACTV website for water bus info and tickets.